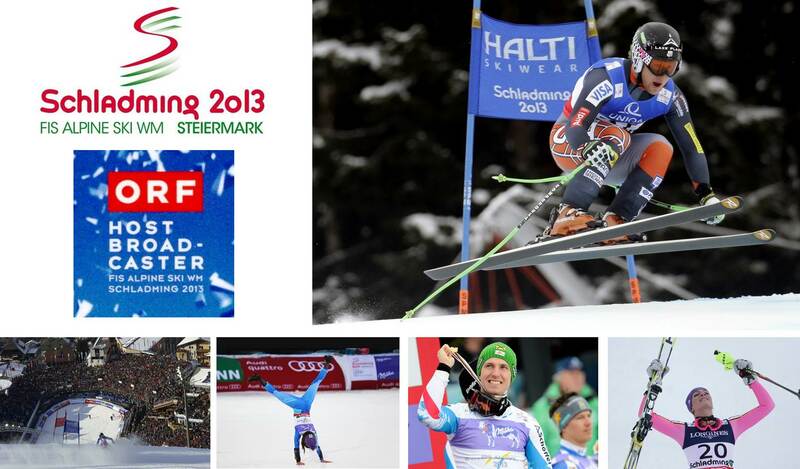 The host broadcaster ORF delivered top-quality, unbiased international coverage of all eleven events in close cooperation with FIS, EBU and the Local Organizing Committee (LOC) to a word wide audience. ORF’s highly awarded directors Fritz Melchert and Michael Kögler brought the essentials of the competition to the audience. They produced a definitive storyline for all broadcasts, while capturing the action using innovative camera angles and the latest acquisition technology in combination with dynamic and emotional replay sequences. In addition the distinct atmosphere and the colorful crowds were an integral part of their story telling. With over 15 years spent in, around, and on mobile television production trucks, TNDV is the culmination of years of experience. From producing small 1 camera productions, all the way up to three million dollar international television happenings, Tennessee Digital Video has seen it all. We would like to put our experience and our tools to work for you. Tennessee Digital Video will create productions that are of the highest quality while being ultra-mobile and always professional. In addition to mobile production, Tennessee Digital Video also offers supporting media production and secondary services: DVD Authoring, single camera production, digital non-linear editing, web video implementation, and voice over production. Just let us know what you need, and we will make it happen! This truly unique single expando compact truck can park in the tightest spots making location shoots possible at a wider variety of venues where larger trucks can never go. Packed with the technical capabilities of a much larger truck-don't let the physical size fool you. Indy is a state-of-the-art multi-format High Definition and Standard Definition Hybrid accommodating up to 8 cameras maximum. This truck meets the demand for small to midsize productions with the highest broadcast standards. Indy is often seen in another role of supporting and supplementing larger trucks on grand events where even the largest trucks need to outboard graphics rooms, profiles and EVS, shoot red-carpet segments, pre and post shows, webcasts, etc. Indy's seamless integration capabilities with other trucks make it a especially useful in many tough production situations. The Mobile TV Group operates one of the USA's largest fleets of mobile production units equipped with state-of-the-art equipment. With an all-high definition fleet of trucks, MTVG provides mobile units for over 4,000 sports and entertainment events each year. The Mobile TV Group adheres to the highest standards of maintenance and service with world-class engineers and support staff. Over the past seventeen years, Mobile TV Group and Colorado Studios (which builds MTVG’s trucks) have designed and built a wide variety of SD and HD mobile production trucks, which now cover both the home and away games of about half of the NBA, NHL, and MLB teams in the US. Broadcast Sports Inc. (BSI) helped TV Globo bring the excitement of Carnival to the thousands of Brazilian viewers who didn’t make it into the grandstands this year. BSI, a leading provider of wireless audio, video and communications technology for the broadcast industry, supplied three HD RF camera systems and an eight-way diversity fibre receive infrastructure to assist in the broadcast of the event. The three camera systems included two Sony PDW700 cameras on Steadicam rigs and a motorized, gyro-stabilized camera mounted on a track along the parade route. BSI’s camera control technology enabled full remote operation of paint functions on the two Sony cameras from the TV compound. Starting February 26, Dejero secured the use of a rooftop terrace in downtown Rome with a panoramic view of the Vatican. The terrace offers an excellent backdrop for live shots and other video coverage of Pope Benedict's last day in office today, and continues through to the naming of his successor later in March. Broadcasters participating in Dejero's full rooftop package will have exclusive access to a portion of the terrace and will be supplied with power and a dedicated 6 Mbps Ethernet connection. Each client will also have use of a Dejero LIVE+ 20/20 Transmitter, enabling the broadcaster to encode and transmit HD or SD video directly over 4G, 3G, Wi-Fi™, or Ethernet connections. Existing cellular towers are expected to be overwhelmed with traffic on the key celebration days, when more than 500,000 people are expected to be in attendance. To solve this problem, Dejero has also built a long-range private Wi-Fi network within the Piazza at St. Peter's Basilica that will give broadcasters the ability to transmit live video to any destination around the world from a variety of Dejero-powered mobile devices — professional transmitters, laptops, iPads®, and iPhones®. The game show "Cash Crash" was developed from the ground up by Shine Germany, on behalf of RTL, and was produced at the MMC studios in Cologne-Ossendorf. A total of 14 cameras were used for the HD-production at MMC studio 32, which was directed by Mark Achterberg. These included five Grass Valley (GVG) LDK 8000 cameras, one GVG LDK 8300 Super SloMo camera, one GVG LDK 8000 camera on a SuperTechno 50 crane, one GVG LDK 8000 elite wireless handheld camera, and a GVG LDK 8000 elite wireless Steadicam. For special camera settings (helmet camera etc. ), a lipstick camera and four of GoPro’s HD Hero cameras were used. The video signals were mixed on a GVG Kayenne XL (3.5 M/E) at MMC’s HD control room 11. The playbacks were carried out via three channels on a Grass Valley Summit Server. One EVS XT2 was used for the highlight editing and the Super SloMo. For the recording, four Sony XDCam VTRs and eight Summit Server channels were available. Gott is the Czech Republic’s most successful and best known singer. His impressive and dynamic international career spans six decades during which time he’s been at the forefront of many new and innovative musical trends, including being a pioneer of emerging Czechoslovakian pop music in the early 1960s. His numerous recordings have sold millions worldwide. Lighting equipment was supplied by Prague based rental company Audioblue Productions SRO, who have serviced Gott’s live shows for several years. The moving lights comprised 22 x Robe ROBIN MMX Spots, 12 x ROBIN LEDWash 300s, nine LEDWash 1200s and eight ROBIN 600E Beams, all of which were spread out over trusses - above the stage and hung vertically at the back - with the LEDWash 300s on the floor. The UK’s Pinewood Studios has for decades been associated with the biggest international blockbusters. Among current hits, one could name Les Miserables, Skyfall, Snow White and the Huntsman and Prometheus – all up for Oscars this year and filmed at Pinewood. And besides major films, the Studios’ output has included over the years a host of successful TV programmes, commercials and video games. Recent TV productions that have used the Studios’ facilities include: Would I Lie To You; The Rob Brydon Show; Don’t Stop Me Now; Love Machine; The Magicians; and Got to Dance. The outstanding reputation of the Studios is based not only upon its infrastructure but also its equipment, facilities and skill base. To ensure Pinewood remains at the centre of the global film and television industry it is constantly investing in its facilities. Part of a recent modernisation programme at Pinewood included upgrading its TV galleries and as part of this, its communications system. The AK-HC3800 studio EFP camera ensures high-quality images with a high-sensitivity 2/3 type 2.2-mega pixel IT 3CCD and a newly developed 38 bit DSP (internal video processing circuit) with 16 bit A/D converter. The camera incorporates various image quality adjustment functions, including image quality compensation functions such as a chromatic aberration compensation (CAC) and scene file settings in addition to the dynamic range stretch (DRS). The AK-HC3800 can be combined with the AK-HCU200 Camera Control Unit and AK-HRP200 Compact Operation Panel to configure a cost-effective easy-to-use optical fibre transmission studio camera system. The camera and camera control unit can be connected for long-distance transmission of video signals over approximately 1,000 m when power is supplied from the camera control unit. The camera control unit and remote operation panel are connected by a dedicated cable and future support will allow a LAN cable to be used for an IP connection of these units. ORF’s host broadcaster operation in Schladming (HBORF) consisted of around 300 persons who were working on the 50 hours of live productions and transmissions, the production of the various additional contents (World Feed Plus), the administration, organization and logistics during the 14 official days of the World Championships. The central part of the international production was the coverage of the 11 medal events on the Planai ski resort and in the Planai Arena. On behalf of HBORF Euro-TV was responsible to solve all production related issues before, during and after the competitions. Euro-TV had setup a base camp close to the Kessler Alm half way up the Planai Hill. Euro-TV was handling 72 tons of audio and video equipment (cameras, microphones, fiber cables, camera cranes, tripods, adaptors, etc.) and 23 tons of construction material for the setup of safe but compelling camera positions close to the slopes. The solution, which features Elemental video processing systems paired with the deltatre Diva platform – a unique video user experience integrating synchronized data visualization and navigation for different sports - allows broadcasters to manage their unilateral and multilateral video feeds for multiscreen delivery. The announcement comes as sports content programmers intensify their focus on fan-engagement, advertising, and monetization opportunities associated with multiscreen viewing experiences – and well in advance of some of the world’s biggest sports events, including the 2014 Winter Olympics and FIFA World Cup. The integrated solution expands upon multiscreen capabilities that deltatre and Elemental have successfully delivered for multiple high-profile sports events, including the Pan American Games, Rugby World Cup and 2012 Olympic Games. Robe lighting is sponsoring Czech MotoGP racer Karel Abraham for the 2013 Road Racing World Championship Grand Prix – the premier championship in the world of motorcycle road racing. Karel, aged 23 and born in Brno, Czech Republic, is competing as part of the Cardion AB team for the 2013 season, riding a super-charged new cutting-edge Aprilia ART (Aprilia Racing Technology) bike. Grand Prix motorcycles are purpose-built racing machines with an engine capacity up to 1000 cc that are not available to the general public … or legally ride-able on public roads! The MotoGP sponsorship announcement also extends Robe’s ‘Working With Winners’ theme. Lighting Director and Gaffer Rich Gorrod worked closely with LD Gurdon to help take the design from paper to production as efficiently and seamlessly as possible. “This is my fourth Super Bowl Halftime show so I had a good idea of the considerations and challenges that are unique to this particular event and Al is very aware of how to get the most out of his designs while also addressing the challenges of this event,” says Gorrod. While still in London, where both Gurdon and Gorrod are based, Gorrod input the system into Cast Lighting’s wysiwyg system and patched the show with programmer Michael “Oz” Owen. Working at PRG’s East Molesey office in the UK, the team setup in PRG’s previz suite using the PRG V676® Lighting Control Console, which was Owens’ console of choice for the halftime show. Viva Forever!, the musical based on the songs of the Spice Girls, had its World Premiere in London's West End on 11 December and has the audiences dancing in the aisles and happily humming the whole way home. Cynics may be quick to say this is just another juke box musical designed to pull in the sing-along punters but Jennifer Saunders has penned a dramatic narrative that demands the broadest pallet in terms of look and design. Sets range from a TV talent show with all its accompanying signature lighting and ambiance [more of which later], a houseboat and on to a rather exotic looking Spain that provides the backdrop for the Salsa driven ‘Spice Up Your Life’. The first Robe ROBIN MMX WashBeams fixtures to tour the UK went out on ‘Strictly Come Dancing – The Live Tour’, which played a month of UK arenas following the latest of the BBC’s hugely popular hit TV series. The glittering 2013 tour line up included reigning Strictly champion and Olympic gymnast, Louis Smith, dancing with Ola Jordan. Lighting was designed by Richard G Jones, who was asked on-board by Show Director (and Judge) Craig Revel Horwood last year. The two have worked together on several musicals, and Revel Horwood’s brief to Richard was : “Three words dah-ling – Theatrical, Theatrical and THE-A-TRI-CAL!!!”. Jones ensured that no-one was disappointed, creating a show awash with colour, movement, drama and pizzazz to match all the dancefloor action, energy and high jinks! All lighting, sound & rigging equipment was supplied by south Wales based rental and production company, Sonalyst. Chyron Corporation (NASDAQ: CHYR), a leading provider of Graphics as a Service for on-air and digital video applications, today announced that it has signed a definitive agreement to acquire Hego AB and its subsidiaries (collectively, “Hego Group”), a leading provider of powerful graphics and data visualiz ation solutions for TV and sports. Hego Group is a privately-held company with its headquarters in Stockholm, Sweden, and has operations in Norway, Finland, Czech Republic, UK and USA. The combined company will be rebranded as ChyronHego. The Chyron and Hego product lines are complementary with very little overlap. Hego’s solutions predominantly address the needs of live sports production with product categories such as Augmented Reality and Virtual Product Placement, Telestration, and Production Services offerings based around their proprietary Image and Player Tracking solutions. For its part, Chyron has recently been more focused on graphics solutions for live and near-live news production workflows. Upon consummation of the transaction, it is anticipated that ChyronHego would vault to second place in terms of global market share. Korea’s national television station KBS has invested in the SprintCam® Vvs HD ultra slow motion technology from I-MOVIX. KBS will deploy the solution to enhance its coverage of domestic and international baseball, volleyball, basketball and football events. KBS has been a long-term user of ultra motion for sports productions, but this is the first time the broadcaster purchased the I-MOVIX’s solution. KBS trialled three super slowmo systems during the summer of 2012 to compare performance and features. The SprintCam Vvs HD system chosen by KBS was supplied by Korean I-MOVIX distributor D2S. Working with major camera and equipment suppliers, SIS LIVE has conducted proof of concept tests at base using a range of cameras coupled with its latest 3G capable outside broadcast unit OB 14. All recent SIS LIVE trucks have been built to be 3G capable, designed to handle 4K and HD signals. This has involved testing of signal flows, the use of lenses suitable for live event coverage, as well as the integration of recording technology. Testing continued on 2nd February with a Premiership football match featuring Chelsea and Newcastle captured in full 4K using the Sony F65 camera paired with a Fujinon 75mm-400mm lens, recording to the camera’s onboard 256gb flash memory cards.